When you first see the Radisson Blu Edwardian in Manchester, you might be forgiven for thinking you’ve accidentally stepped through a portal and out into an Italian piazza. 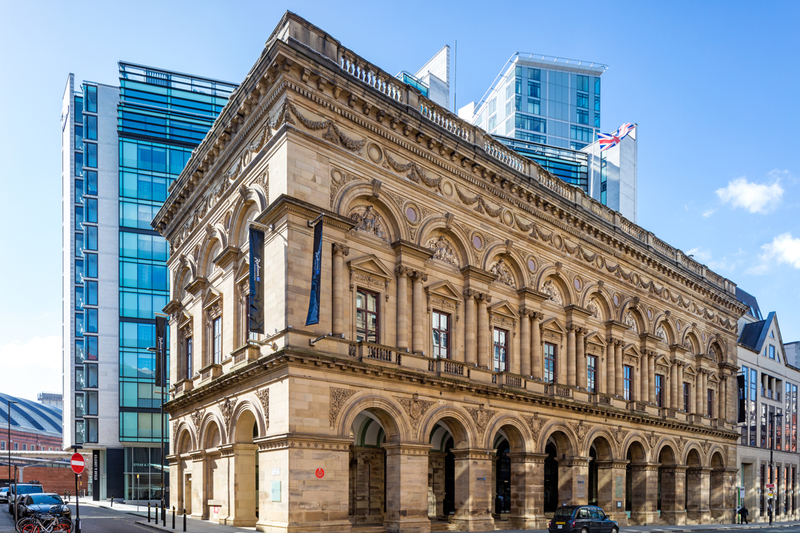 The historic Free Trade Hall in which you’ll find the Radisson Blu Edwardian, Manchester, enjoys an appearance inspired by the architecture of the Cinquecento; the work of Victorian Architect Edward Walters. The palazzo style makes it one of Manchester’s and indeed the UK’s, most elegant buildings. The elegance of this venue is more than just a facade however. The Radisson Blu Edwardian, Manchester, matches the innovation of the period that inspired its appearance with its own modern innovations. First and foremost, Edward, the Virtual Host. Described as the most engaged, reliable, punctual and fastest employee you’ll ever have, this hospitality focused AI is available to text as soon as guests arrive at the hotel and will offer help with any enquiry guests might have. Capable of understanding fairly complex questions and conversation thanks to the built-in assisted machine learning using Natural Language Understanding (NLU) allowing Edward to respond to more than 1,600 requests in different languages. Since 2016, Edward has interacted with over 400,000 guests at Edwardian Hotel London properties, helping with everything from letting guests know their rooms are ready or where the car park is to ordering room service. Matching the excellent service provided by its staff both human and virtual, the Hotel offers three excellent function spaces in which to host your events. 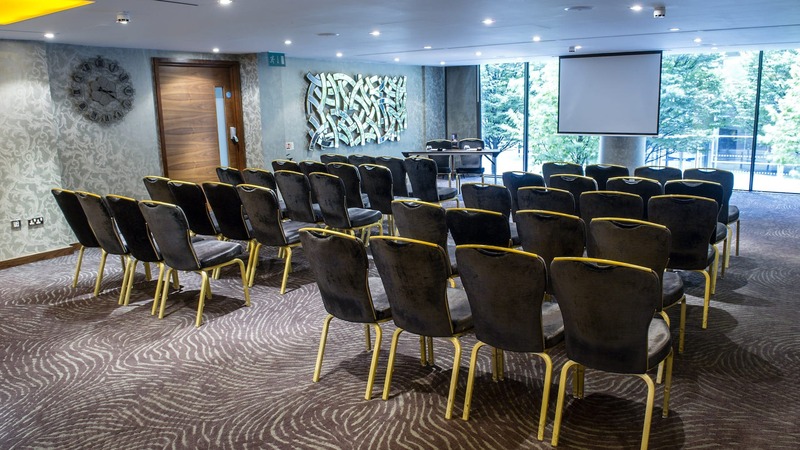 The Radisson Blu Edwardian is a great place for events in Manchester thanks to its central location and close proximity to several train stations making it an easier journey for anyone travelling into the city. The Walters Suite, named after the building’s architect, is a versatile space used for both gala dinners and weddings along with more business-oriented events including conferences, seminars and training workshops. 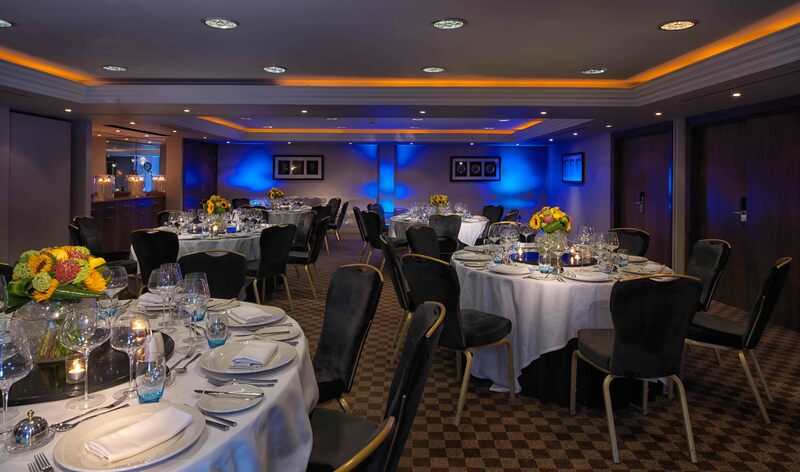 With space for 70 dinner guests or 80 delegates in a theatre arrangement, the Walter suite provides a good middle ground between more intimate spaces and larger halls. Those food-focused events to celebrate a birthday, anniversary, private dinner to entertain clients or a working lunch, the hotel is an ideal choice. The menus provide a delicious array of savoury and sweet dishes served in a way to meet your event needs including deli-style platters, flavoursome fork buffets or sit down dinners. All the food comes from local sources and is arranged into seasonal menus as part of the Radisson’s commitment to sustainability. For the largest events, the Halle Suite provides space to host up to 500 guests with a particular speciality in business events thanks to intelligent technology making the rooms AV systems wonderfully simple to control through intuitive touch-screen systems. 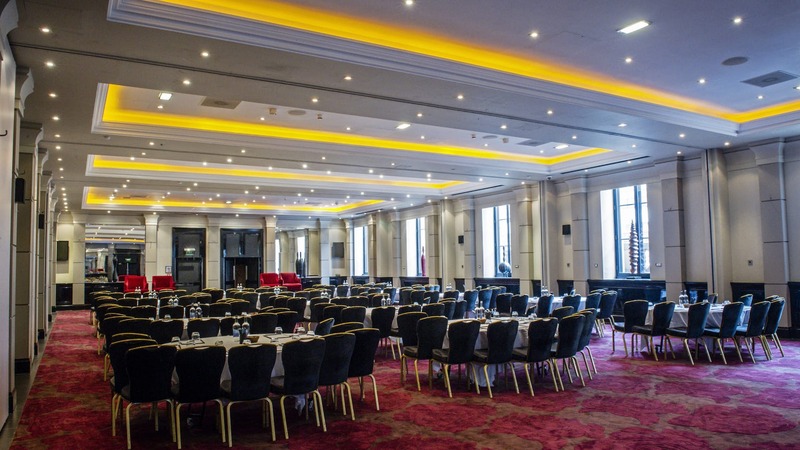 As the Hotel’s grandest event space, the room enjoys plenty of natural light, a particular bonus for daytime events such as conferences. Manchester is a beautiful city for events and the Radisson Blu Edwardian is one of the reasons why. With excellent service and any queries your guests might have being handled by intelligent AI, the Radisson Blu Edwardian ensures that all their events run smoothly and efficiently to the highest standard of hospitality.